This giant American flag blowing in the wind is a beautiful symbol of patriotism and freedom. This American flag wall mural is perfect for an accent wall or the entire room, these removable and re-positionable mural panels are an easy way to decorate any wall in your home, nursery or office. 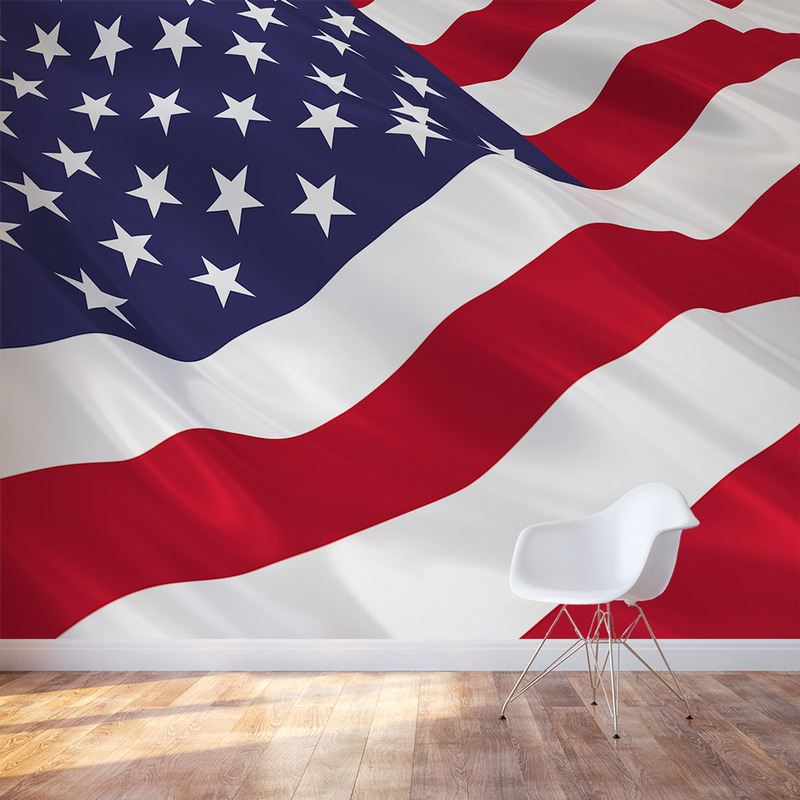 This Wallums peel and stick American flag wall mural will redefine your space by adding style and definition to your walls. Whether you are looking to create an accent wall or cover the entire room, our peel and stick wall murals are your perfect simple solution. Wallums mural panels are a "peel and stick" wall covering and require no paste or glue and no need to hire professional help. Installation is as simple as peeling this American flag wall decal from its backing sheet and sticking it to your wall. Our special self adhesive fabric material will not tear or crease and can be repositioned many times. 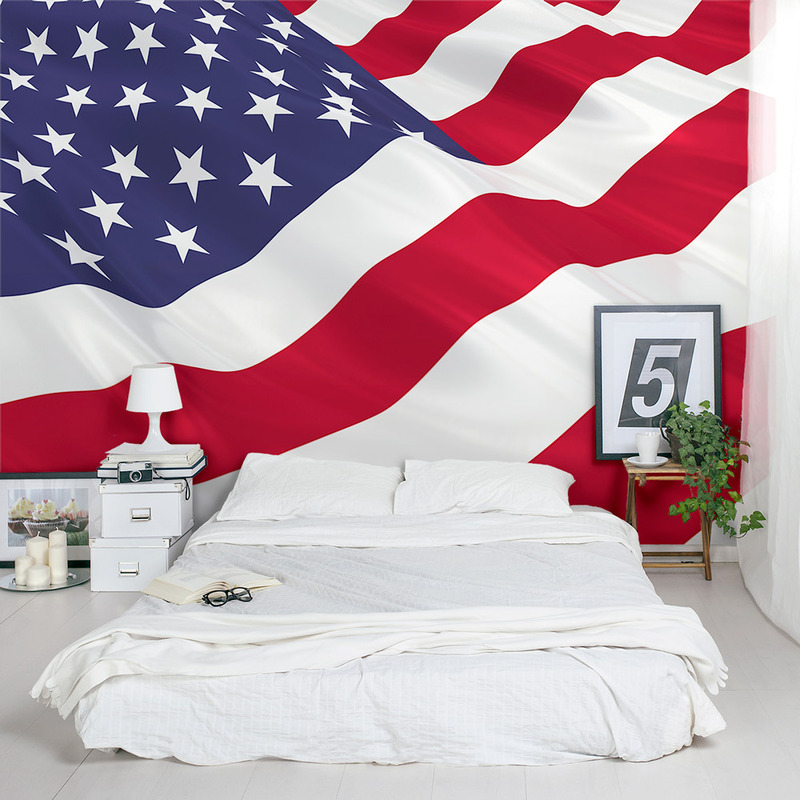 When you are ready to remove this American flag wall mural, just simply peel off the wallpaper. 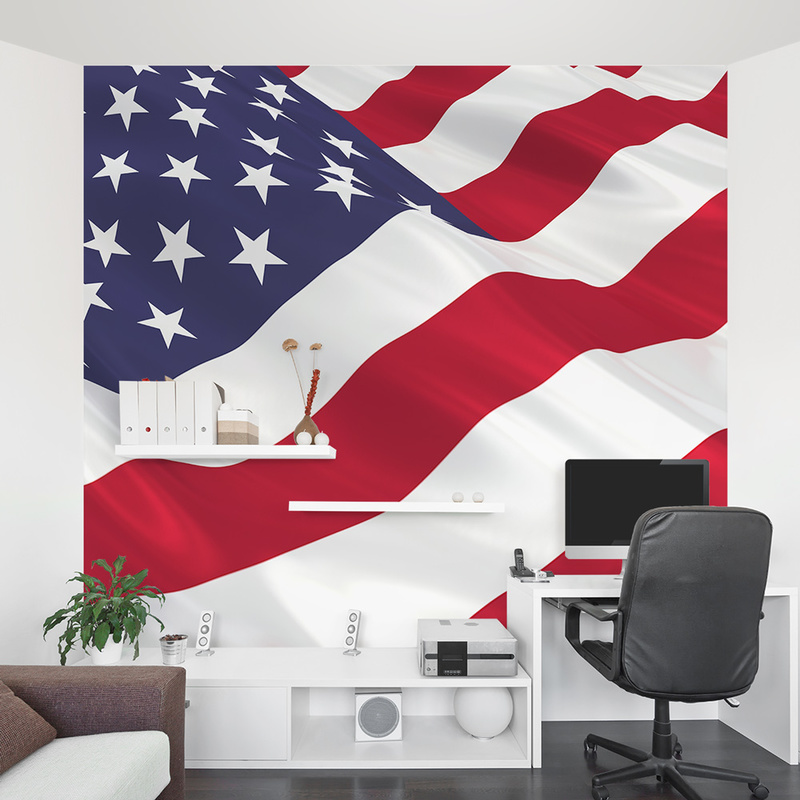 Each panel of this American flag wall decal is approx 24"-48" wide. Custom sizes are available upon request.